Positive Detroit: Make A Date With Adult Swim's New Drive-In Tour On Belle Isle! Make A Date With Adult Swim's New Drive-In Tour On Belle Isle! 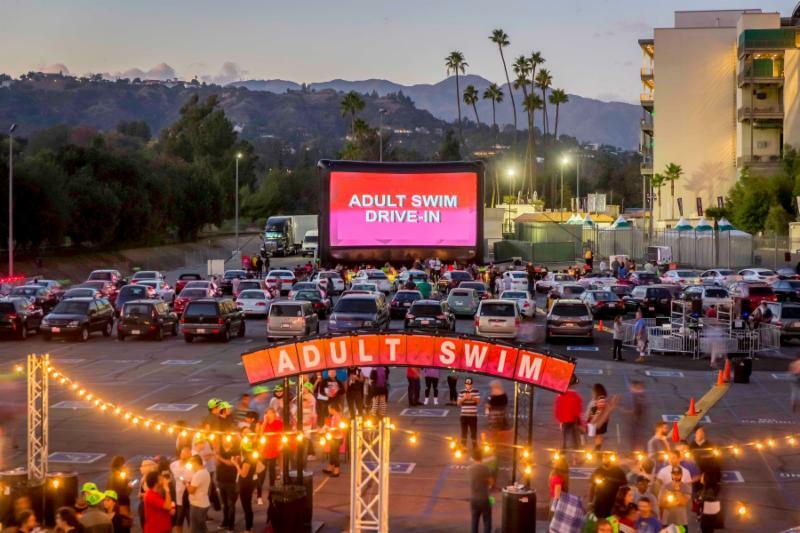 Fans from all across the country can soon roll up with their crew to the 2016 Adult Swim Drive-In. They will enjoy a free magical night with Adult Swim, basic cable's #1 network with millennials for over a decade, and get a first look at what's on the programming horizon starting next month. Each stop of the five-week, 10-city national tour, brings an ultimate exclusive sneak peek at unaired episodes, never-before-seen pilots and specials, and loads of other Adult Swim favorites. Fans will also enjoy food trucks, free popcorn, concessions, games, and prizes. Vouchers for a free meal from one of the food trucks on-site will be handed out, while supplies last. Attendees can also bring their own picnic dinners, see the official site for more details. The content, which will be shown on a massive 40-foot inflatable screen, will be updated periodically throughout the tour. The event is free to fans ages 18+ and RSVPs are required atAdultSwimPresents.com.